What Things Should You Invest In for Your Living Space? Did you know that the average person moves around 12 times over the course of their life? That’s a lot of moving! Chances are that for most people, the first chunk of life was spent in the family home. From there, you may have moved into an apartment or shared a house with friends. After that, it’s a bit of a rollercoaster until you find a place that you actually enjoy. Thankfully, at Summit Riverside Apartments in Littleton, our goal is to provide our tenants with a living space that they actually love living in. Imagine that! The truth is that people move for a variety of reasons. For some, it’s to be closer to family; for others, it’s the opportunity to take a position at a new company and enjoy their dream job. Whatever the case may be, people move quite a bit in their lives. Our point is this: until you’re finally ready to settle down for good, it can be really hard to want to invest in things that you’re just going to have to move from one place to another. You may have heard the old saying “buy it nice or buy it twice.” It’s a sentiment that holds true today, but many people find themselves in a situation where they don’t mind buying something inexpensive because they just know they’re going to have to move it. Nevertheless, there are some things that we think it makes sense to invest in. What are those things, you ask? We’ll be counting them down over the next couple of posts, so if you’re ready to make some purchases that will truly last a lifetime, this blog is for you. Keep reading to see which items we think belong with you no matter what. You can get a whole lot of use out of a great blanket, but unfortunately, with many of the things you’ll find in the big box stores, they have something in common — they just don’t make them like they used to. Whether you’re buying something that lasts a lifetime or not, the truth is that blankets, sheets, and bedding are downright pricey! Our thought is that if you’re already going to spend quite a bit of money on something, you might as well invest a little bit more and get something that will last you infinitely longer. Do a bit of research and you’ll find several brands out there that have plenty of history behind them that will serve you well for the next several decades. Another helpful bit of advice, particularly when it comes to sheets and bedding, is to get items in white whenever possible. Sure, the patterned sheets look really cool, but when they end up getting stained or start yellowing after awhile, there’s nothing you can do to revive them. White sheets, on the other hand, can be bleached and come out of the wash looking as good as new. It doesn’t get much better than comfy sheets that have been broken in over the years and still look great! Sure, you can cruise over to the local Target and find something that looks pretty nice to cover your walls. It gets the job done, so that’s all you need, right? Maybe so, but maybe not. If you can find art that really speaks to you, you’re much more likely to enjoy looking at it while it hangs on your walls. Whether it’s a framed painting that you saw in a local coffee shop or a vintage drawing you found in the antique shop, the cool thing about pieces that aren’t mass produced is that you won’t find them anywhere else. In other words, one of the coolest things about art is how unique it is. There’s nothing wrong with having a popular piece in your home if you like it, but going out of your way to find something that is uniquely yours is absolutely worth investing in. Do you enjoy spending time in the kitchen trying new recipes and making old favorites? If so, do yourself a favor and invest in high quality versions of the things that you use the most. For example, are you just getting by with cheap kitchen knives that seem to go dull after a couple of months? Do you find yourself getting new hand mixers on a regular basis because the motors are burning out? Is your drawer filled with mismatched silverware? There’s nothing wrong with spending a little more money on something that you use frequently, and it’s especially true with kitchenware that upping your budget makes a huge difference. So go ahead and invest in the solid steel knives, the time-tested mixer, and the set of silverware. You’ll thank yourself each time you do! However long you plan to stay at our apartments in Littleton, you’ll feel right at home when you can bring your favorite things with you. Whether you’re thrifty or you enjoy shopping for items that will last a lifetime, you’ll love living here! 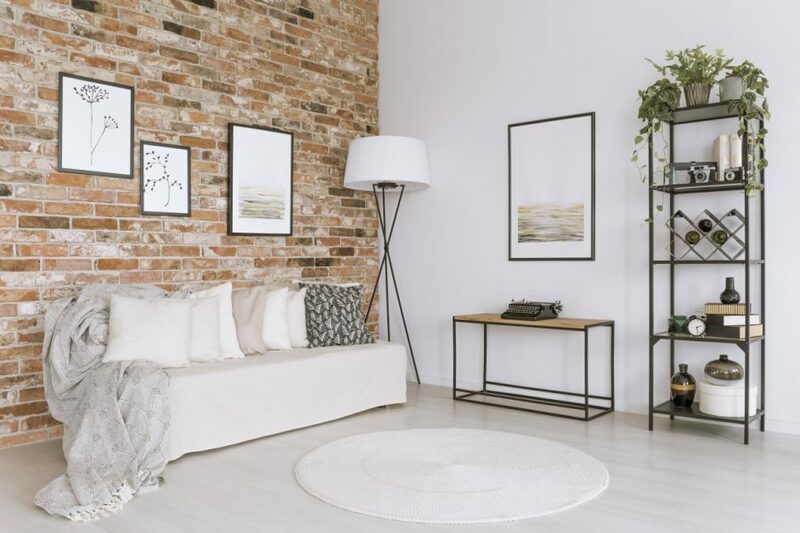 Be sure to stay tuned for another post about items that make sense to invest in for your apartment, and if you’re looking for a luxury apartment in Littleton, schedule a tour today or feel free to contact us with any questions you may have. We look forward to hearing from you!